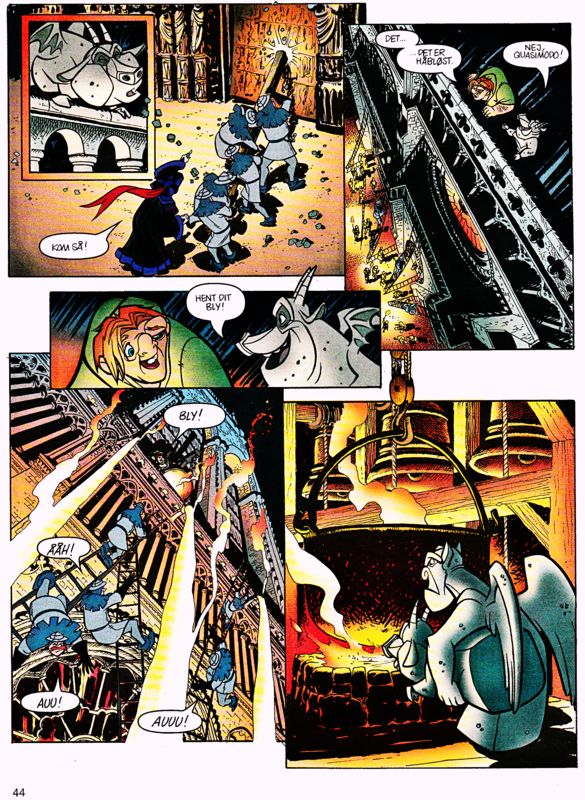 Walt डिज़्नी Movie Comics - The Hunchback of Notre Dame (Danish Version). 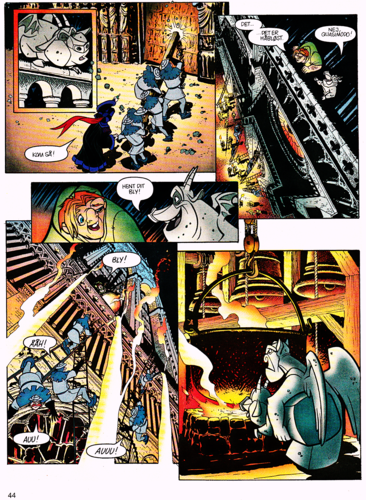 Page 44 of the Official Walt डिज़्नी Movie Comic of "The Hunchback of Notre Dame " (1996). HD Wallpaper and background images in the वॉल्ट डिज़्नी के चरित्र club tagged: walt disney characters walt disney movie comics the hunchback of notre dame quasimodo hugo victor judge claude frollo. This वॉल्ट डिज़्नी के चरित्र photo contains मोबाइल फोनों के लिए, हास्य पुस्तक, मंगा, कार्टून, एनीमे, कॉमिक बुक, and manga. There might also be रंगीन काँच and सना हुआ ग्लास विंडो.